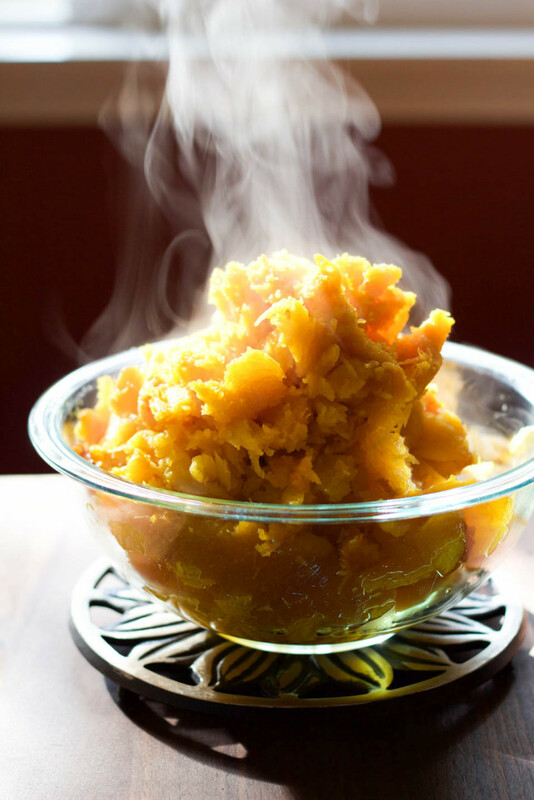 Have you ever wanted to make pumpkin puree from scratch? Now is the time! 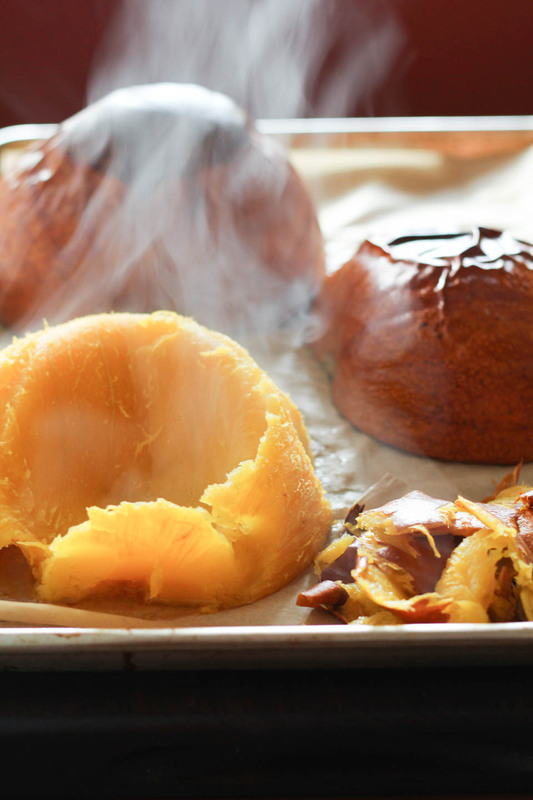 There is just enough time before the holidays to learn this simple homemade kitchen hack. Again, my Mom thinks I am nuts and wants to know why I wouldn’t buy it in a can because it is so much easier? I think her aversion to cooking, but love for excellent food makes me do these things even more! 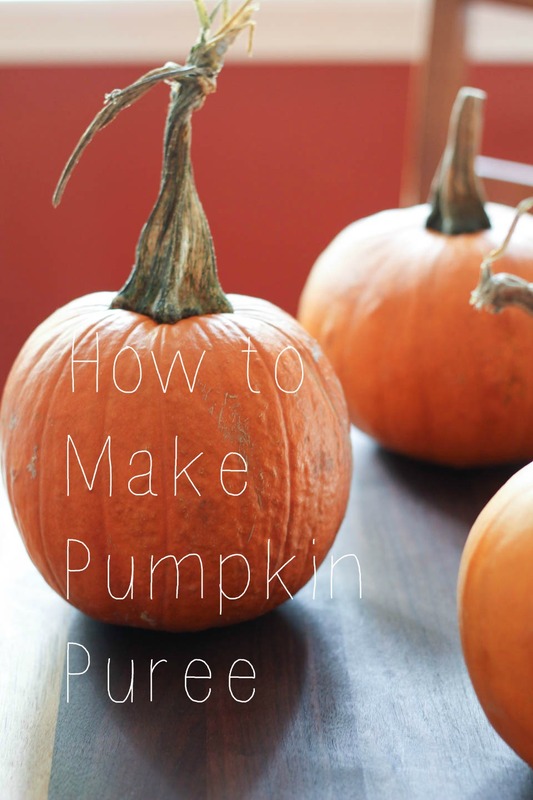 Yes, it is totally easier to buy canned pumpkin puree. Open the can, pour it out, easy for sure. And my disclaimer now, please buy better quality ones, try an organic brand, it will taste much better than other stuff. But if you stick with me on this, you may never go back to the canned stuff. It’s simple, sharp knife, sugar pumpkin, sheet pan, an oven, and a tiny bit of patience, but not much! I love making pumpkin puree, it can make so many dishes other than pie, and that is exactly what I did. 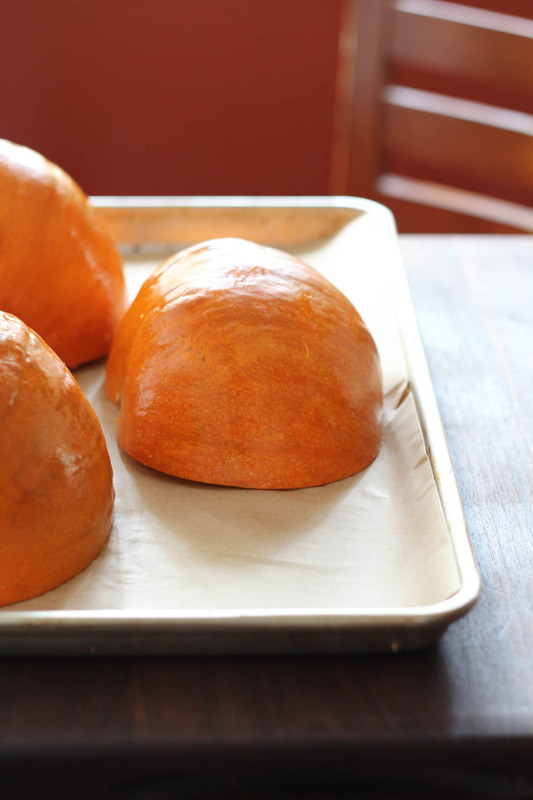 I pureed three pumpkins, but this recipe makes one pumpkin. I made enough to freeze for pie for Thanksgiving, a pumpkin coconut curry dish right away, and more frozen for pumpkin soup with roasted pumpkin seeds. That is why I love the puree, it is healthy and versatile. Let’s do this! Place oven rack in the middle of oven and preheat to 350 degrees. Make sure your large chefs knife is very sharp, it can be dangerous to slice into a pumpkin with a dull knife or anything for that matter. 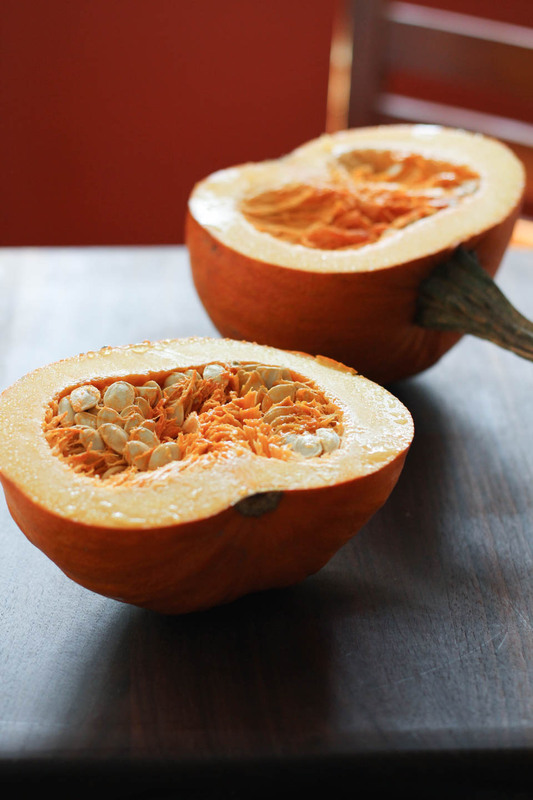 Slice pumpkin in half, scoop out seeds, clean inside very well, set seeds aside. 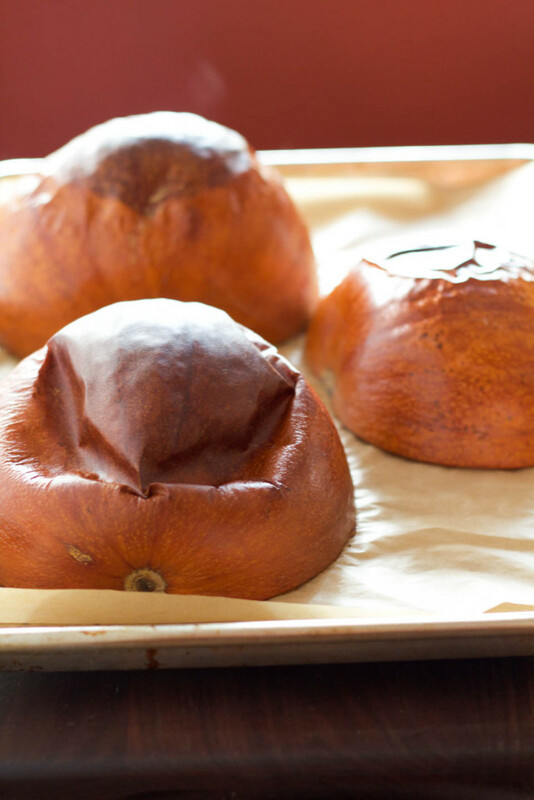 Place pumpkins cut side down on a parchment lined baking sheet. Add 1/4 cup water to the sheet pan, and place in oven for 45-50 minutes. Remove pan from oven, allow to cool for a few minutes. Take a large spoon or ice cream scooper and scoop meat away from the skin, or peel the skin off the sides. For immediate use: puree in a high powered blender on high for a few minutes, or puree in a food processor on high for a few minutes until smooth. For later use: EITHER puree or leave as is then place in a ziplock bag for up to 3 months. Remove from freezer the day needed and place on counter to thaw for 3-4 hours to be able to use. Clean and roast those pumpkin seeds too! Please add the recipe for the a pumpkin coconut curry dish or soup. See you next week at Culinary Fest. See you very soon! Oh geez, I made them for dinner not for the blog yet :). I’ll let you know if that happens!